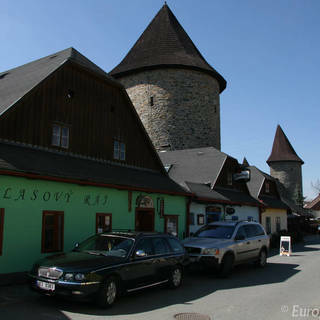 Polička was founded in 1265 by Bohemian King Ottokar II of Bohemia. The name of the land Na políčkách (On the Fields) appeared for the first time in the list of places which, in 1167, King Vladislaus II of Bohemia put under the administration of the Praemonstratensian monastery in Litomyšl. Gradually, a settlement was built there in order to defend the country's trading route, leading from Moravia to Bohemia through dense forests. In the 16th century, Renaissance-style buildings started to be built in the town. Examples of this style are St. Michael’s Church (started in 1576 by Ambrož Vlach, a builder of Italian descent) and a prism-shaped bell tower in the cemetery. In 1613, Polička was devastated by fire. Only the Gothic town hall and the southwest part of the town were spared. Polička kept its baroque appearance until 1845 when it was hit by another fire. Only 2% of stone houses survived and even St. James’s church had to be torn down. A new neo-gothic church (designed by Antonín Vach and František Schmoranz) was being built for a period of 12 years and was finally finished in 1865. The 1845 fire has considerably slowed down the development of the town. Due to this, the town walls were not torn down. 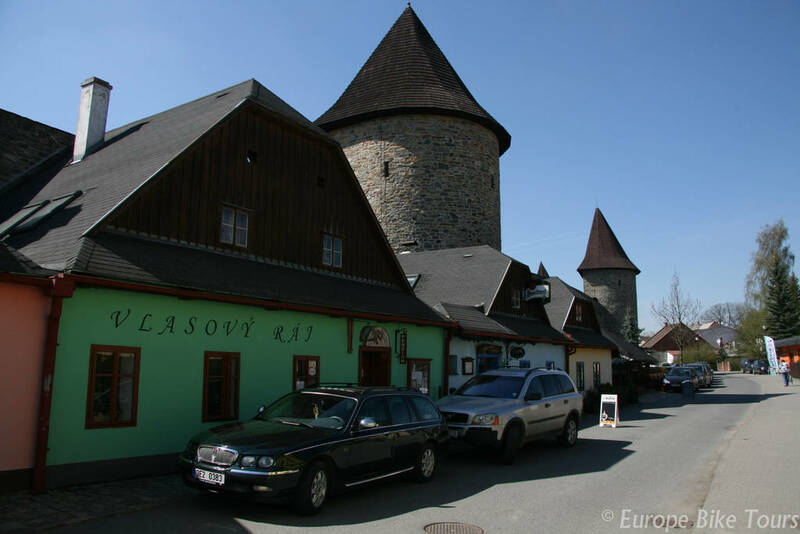 Until today the town walls (which are 1220 long) surround the historical core of Polička. Unfortunately, the town gates have not been preserved as they were demolished before the 1845 fire.